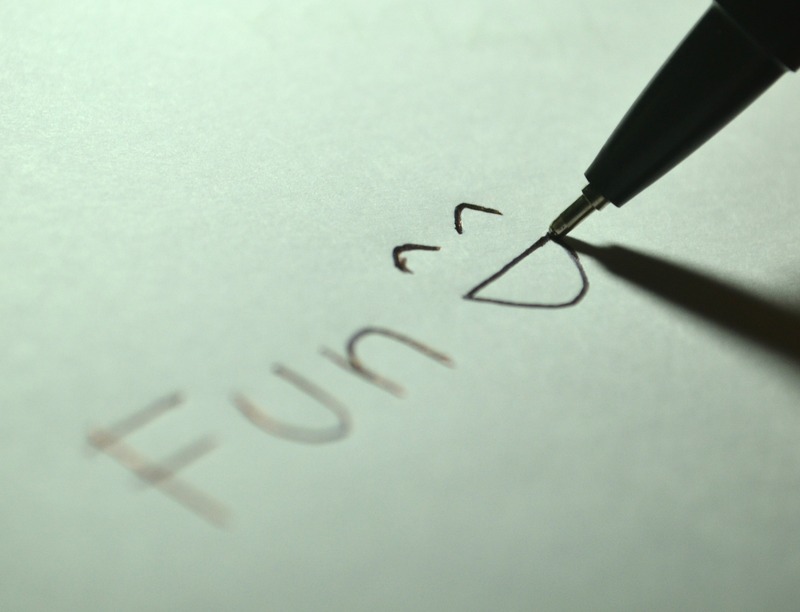 It was such #fun, and it reminds me of a lesson I learned long ago: I #write best when I have fun. I bet you write beautifully when you have fun, too. But you might have forgotten how. If you want to make writing akin to finger painting and making mud pies, here are three writing exercises that’ll get you there. Schussboomer*. Write for seven minutes without stopping. No crossing out. No revising. It’s most fun if you handwrite, but you if you prefer to type, try the website www.750words.com. It’ll keep you focused. If you run out of ideas, just write, “I’ve run out of ideas” until something comes to you. (This is an exercise adapted from author Julia Cameron’s Morning Pages). Tabloid. Think of a colleague or friend and write a really nasty little profile of them. (You don’t have to really dislike them.) Cast suspicion on their motives, emphasise their downsides and misquote them horribly. Channel your inner wickedness. No swearing or name calling. Be descriptively nasty. Purple. Can you write some truly purple prose? Think Absolutely Fabulous – endless descriptions of clouds in the sky or the landscape, lashings of adverbs (heavenly) and adjectives (dark and stormy), and a generous sprinkling of superlatives (the sweetest of all). Gorgeous, darling! I once bought a bad novel on purpose. I’d just decided to make my career in writing, and this book became a beacon: shining a light on every possible writing trap. The exercises above are designed to loosen you up so you can remember that writing can be fun. But I guarantee they will also remind you of all the writing traps and how to avoid them. PPS: A schussboomer is a slightly disparaging term for a very fast (dangerous) downhill skier.